Advent Scout Ships: Too OP? I don't know about you guys, but frankly I find the Seeker scout ships for the advent to be ridiculous. They have a special ability called Martyrdom that allows them to suicide in return for 250 splash damage in a wide area. Do I really need to explain how OP that is? A couple of these can completely decimate a fleet composed of light frigates or LRM (flak is more resistant due to higher health). It doesn't help that this unit is dirt cheap, coming in at 200 credits with no metal or crystal cost. Not only that, but I have recently discovered that they COUNTER LRM on their OWN!!?! WTF? A cheap scouting ship should not be able to counter something that requires 1-3 military labs and shoots gigantic missiles (or beams for illums). Please fix Stardock, MP games these days are just devolving into who can spam advent scout ships the fastest. I want to thank Ryat for his numerous contributions to the community. Truly, a better comment has never been posted. I find that Scout ships are very easy to counter once you have around 300 Heavy Cruisers, which are essential to any good team. with my secret strat, I can get 300 Heavy Cruisers 5 minutes into the game! I'll be revealing how to do that on the next episode of Sins with Sinkillr! Sinkillr is a Seleuceia ALT made purely for karma whoring and attention. Whoa whoa... what karma trickery is going on here? Goa gave Wintercross two karma points on the same post? If only Martyrdom actually worked well let alone worked the way you are trying to describe it. Zombie, you're missing the point. The point is that in terms of early game burst damage, you can turn a profit in terms of credits to damage, that being 200 credits to 250 damage to AT LEAST one enemy, if not more due to the little pewpew thing the scout has too. Well, Sinkillr is only a medium AI. So he probably couldn't handle all that Karma at once as much as he wanted to take it. 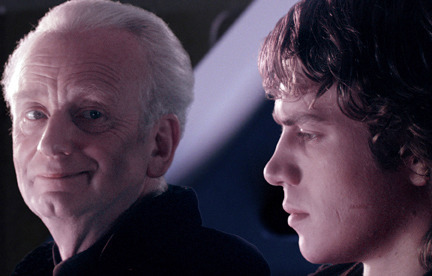 Apparently having large amounts of Karma is a pathway to many forum abilities some would consider to be... unnatural. Of course my internet connection was a bit iffy when I tried to give that karma, and I did likely hit that button multiple times. Not sure why it accepted that though. How sad that when I try to inform the community of a legitimate balance issue, the usual trolls have to muck it all up. Because it has been already discussed and solved? Seems KrdaxDrkrun has figured out the secret of double karma has well. Wintercross, stop hanging around with those karma whores man. It just doesn't suit you. Isn't Sinkillr responsible for breaking the in-game unlock to forum karma? If I remember right, it's using all fleet supply for flak and one scout set as fleet rally on auto explore once you had 300 fleet supply - equates to .5 karma per second while the scout is alive. How he stumbled on that no one will never know. My wife just confirmed this equation is correct... and she is ASIAN.